At Total Life Chiropractic, we treat our patients as if they are family! Dr. Richard Solom is passionate about offering state-of-the-art natural health care to families of St. Louis, Maryland Heights and Chesterfield. Chiropractic helps with so much more than traditional back pain; it can help alleviate symptoms experienced from a variety of ailments and health problems. Our job at Total Life Chiropractic is to educate you about the root cause of the problem and offer you the best chiropractic care possible. We do not take our patients for granted. We feel honored that you have entrusted us to your most valuable possession, your health. Ready to get started with chiropractic? 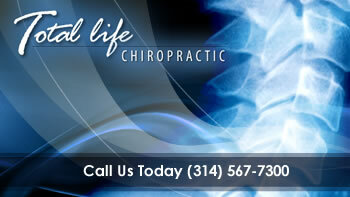 At Total Life Chiropractic, you will find a very friendly, warm and welcoming environment. Our office, located inside the Metro Chiropractic building, is like a big family, and we consider our patients to be a part of our family. Take some time to browse our website and then give our St. Louis chiropractic office a call to get started with chiropractic care! Providing quality chiropractic care for St. Louis, Maryland Heights and Chesterfield.